HomeAll Posts...No Babysitter? No Problem! Do you constantly have to leave your kids in the care of a baby sitter due to the job constraints? Are you unable to manage your babysitter expenses? Do you feel suspicious about your babysitter? With the addition of a CCTV camera, you can feel more confident about your kids’ safety. They stand as a worthy option due to a number of factors. When you leave your kids with a babysitter, there is essentially no way to deduce their intentions and check on their behavior with your kids. Since, some babysitters can engage in different types of abuse, your child might not be safe. Fortunately, with the help of a CCTV camera, you can always monitor your kids when they are with the babysitter. You can also reduce the dependency on the babysitter by just using CCTVs to keep an eye on your children. Additionally, you do not have to deal with the excuses that babysitters make when they are early or late. In this way, you can save money, which you can then invest it in CCTV cameras that can give your child better care and safety. Babies and toddlers are always on the move. Children are curious beings. They roll and run here and there. For this reason, parents, whether they are relaxing and watching TV or are working, are constantly worried about what can happen to their children and the activities they engage in. 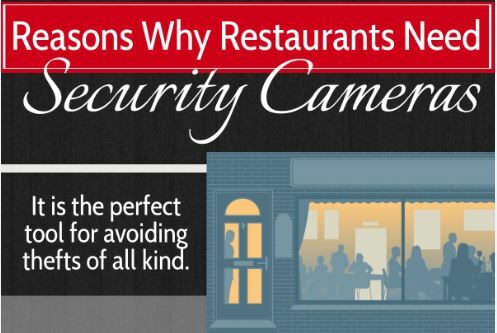 A CCTV camera can be highly valuable in such cases and can save parents from having a panic attack. Many of these incidents result in harm to the kids. While some kids are hurt physically, some are mentally scarred for life. With a CCTV camera, parents will be able to notify the law enforcement agencies in time and protect their kids from any physical or mental dangers. Your child’s safety is the most important thing. You love your children to such an extent that even a small paper cut can worry you. Thus, you should take all precautionary methods and put your child’s safety first. Focus on a CCTV camera installation and contact us for the best security camera installation in Whittier, CA.